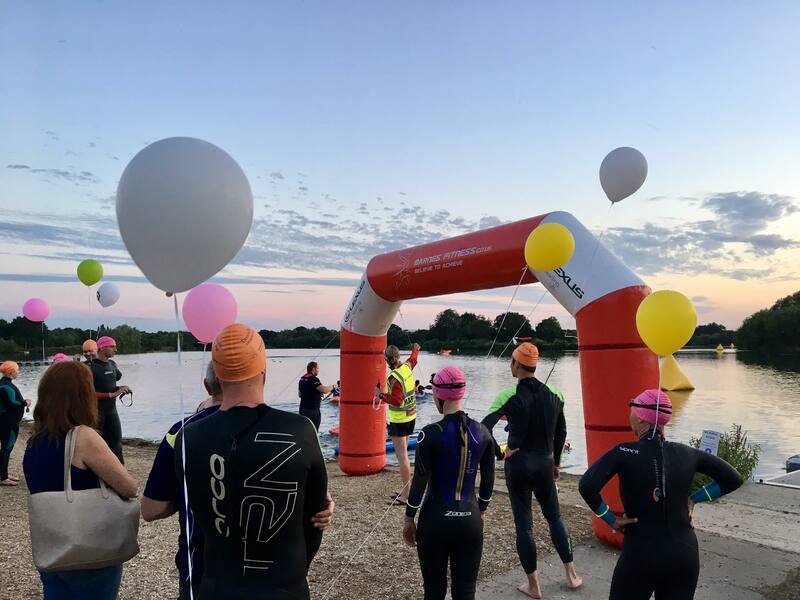 Two great mid-season open water swimming events to see Dinton Pastures Country Park at its best. 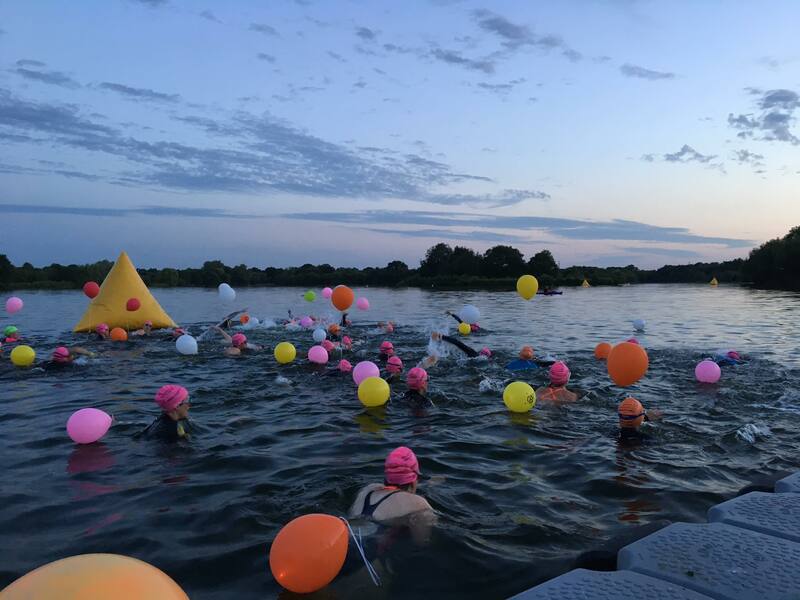 The race starts at dusk, and swimmers will be lit up with neon swim caps, glow bands and LED balloons (all part of the entry fee) as you swim into the wilderness of the night. 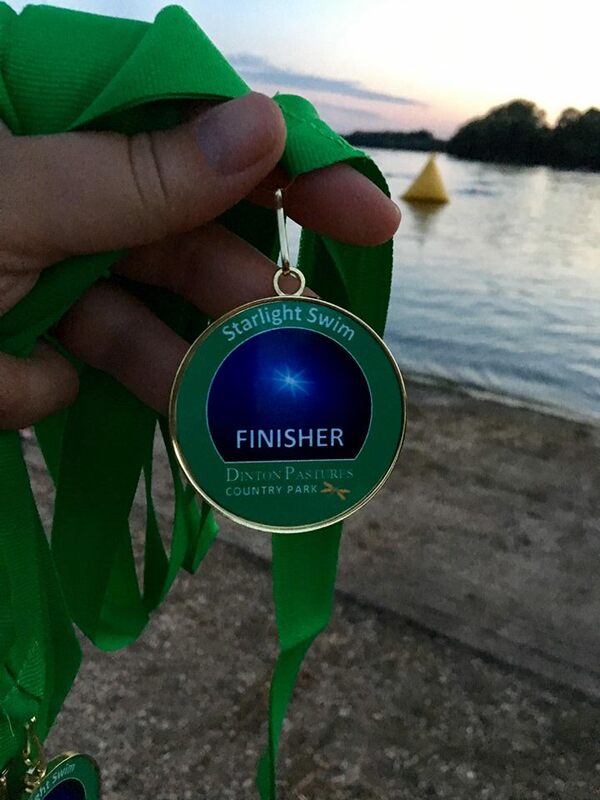 A fully marked course with a full team of swim safety kayakers will be on hand to ensure you feel safe and enjoy the event. Enjoy a hot chocolate when you come out of the water. Changing facilities and hot showers onsite. Post event refreshments will be available. Wetsuits optional, as long as water temperature is above 11 degrees and not above 23 degrees, at which point wetsuits not be allowed to be worn. £5.00 discount available on combined swim options. Open Water swimming open every Wednesday evening at Dinton Pastures, 6pm - 8pm. See more details here. Contact us if you need some help/coaching. Online entry now closed - entries available on the night. Find out how to correctly put on a wetsuit with these tips from Zone3 and avoid cosmetic damage from nails and jewellery. If you haven’t tried on or swum in a triathlon wetsuit before there are a few things you need to consider – from fit, to actually getting the thing on! The Zone3 product development team work hard to ensure their wetsuits are super flexible, ultra-buoyant, made using the world most technically advanced materials so you can benefit and ultimately #ReachNewLimits this year.